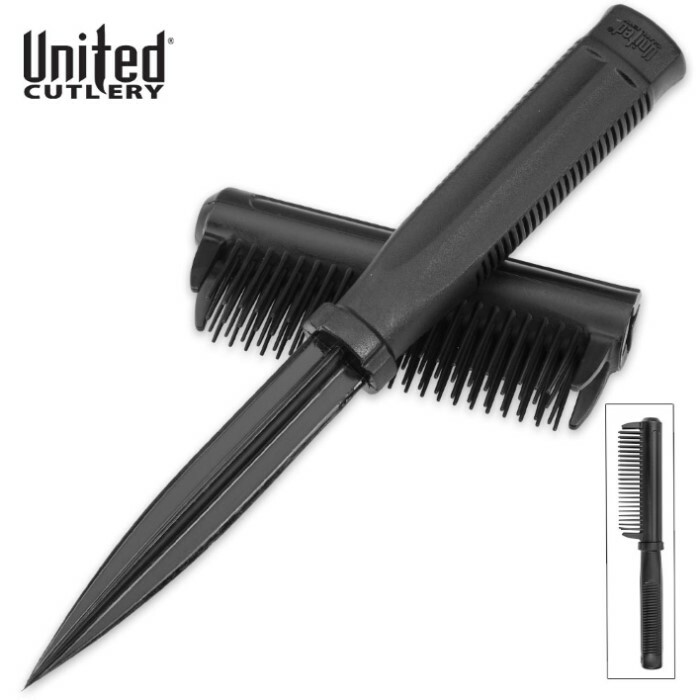 United Cutlery Dapper Defender Self Defense Brush Knife | BUDK.com - Knives & Swords At The Lowest Prices! Do you need an easily concealed and discreet personal defense weapon? If so, you'll look smart and feel secure anywhere with the "Dapper Defender" from United Cutlery. It looks like an ordinary hairbrush but take away the bristles and the handle becomes a highly effective dagger with a tough 4 1/4" ABS/nylon/fiberglass composite blade. At 9" overall, it's small enough to fit in any purse or pocket - perfect for solo joggers or anyone who may one day face a threatening situation - this means you! At this low price, it's easy to get one of these potential life-savers for yourself and several to give away to family, friends and other loved ones. Dual use for appearance and defense. They were Christmas gifts and the girls love them. Not only is this item completely practical and serves it's purpose as a weapon, I have used the brush daily for about the last five years. It is the perfect gift for yourself and others. I Bought 3 of them for my DD and DW. Wife has had a comb knife I got from another company many many years ago. This item gives a since of security and NOT false security. Practice Practice Practice How to carry and how YOU would use it. Problem we found out, Handle will only go into the brush one way, IT IS NOT round, if forced just a little bit it will split the brush but all up worth the money for a CQ weapon. Upon receipt of my brush knife, we discovered a major flaw. The brush became the absolute favorite grooming device of my cat! This cat HATES being brushed, and as soon as I took this out of the box, she jumped in my lap and let me brush her with it for an hour! Now I have to buy another one for my wife! Simply put, I bought one for each of my Family Members. It should be understood, that these are for the Jabbing hand. Practice; with these as a Jab Extension for Defense; with the blade in direction of the pinky. This is an emergency self defence weapon, not a daily use knife. As such, it has good potential in an emergency. 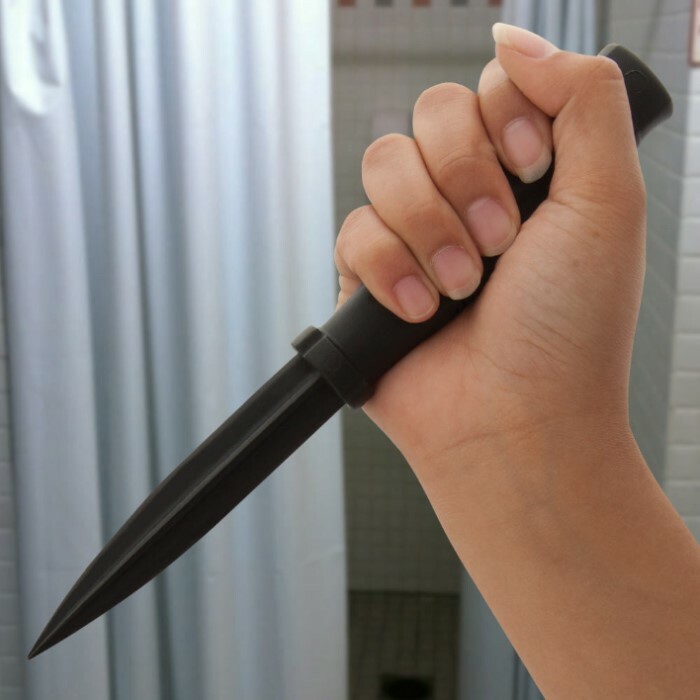 To the people who want a sharp blade, not happening in plastic. Carry a steel blade for that. This is an important item to have for woman I have 3 daughters. I gave them to all the ladies I work with. They really appreciated it and feel safer. The product is very nice. It is strong and will do what it was purchased for. I purchased two. One for my wife and one for my daughter. I purchases them for there self defense. People saying the brush is a joke of not good to use are being stupid. 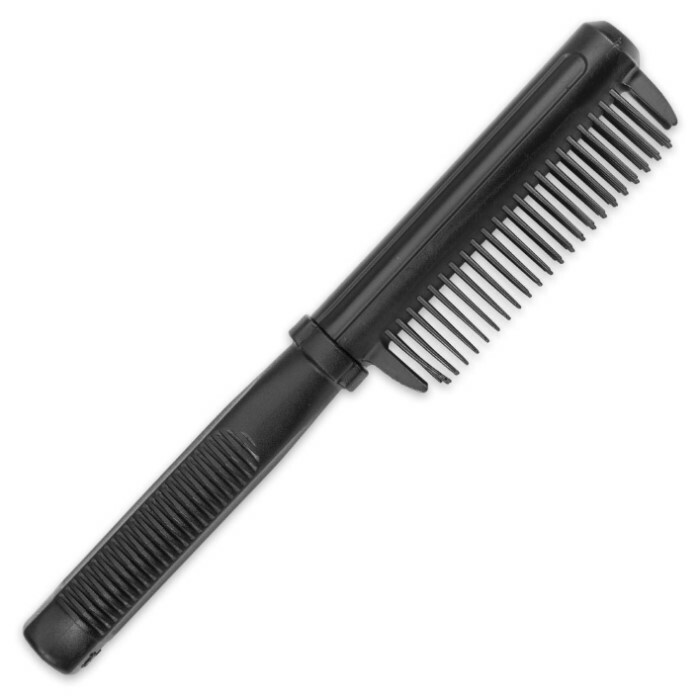 If you want a brush then buy a brush. If you want something that will protect your loved ones then. Buy this product.